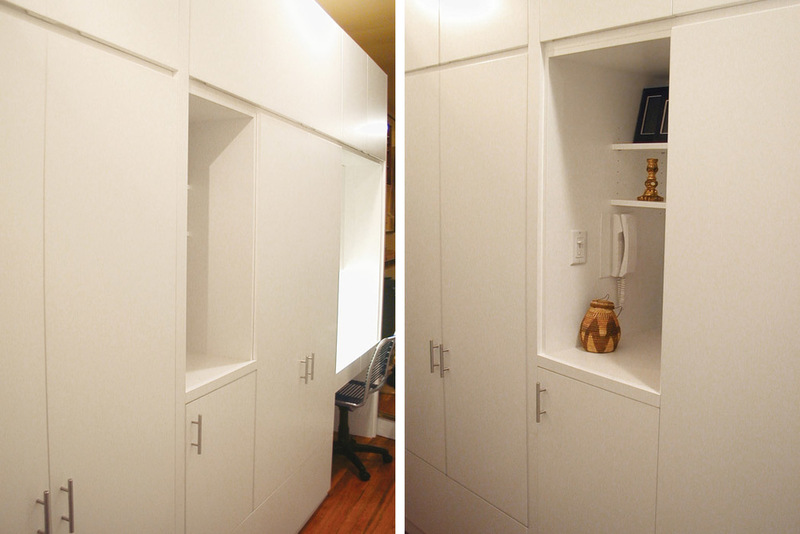 This is a small one-bedroom apartment in Manhattan in which we installed a multi-functional entryway cabinet. The unit includes a coat closet, storage cabinets and a niche for keys, as well as a fully functional home office. 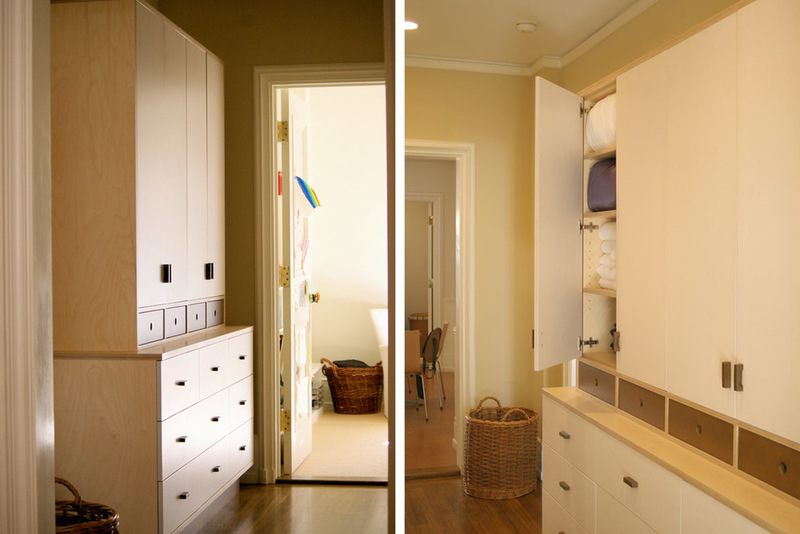 This apartment contained very little built-in closet space, so we created hallway cabinets designed for storing towels, sheets and clothes. Constructed of natural birch with white and brown accents. 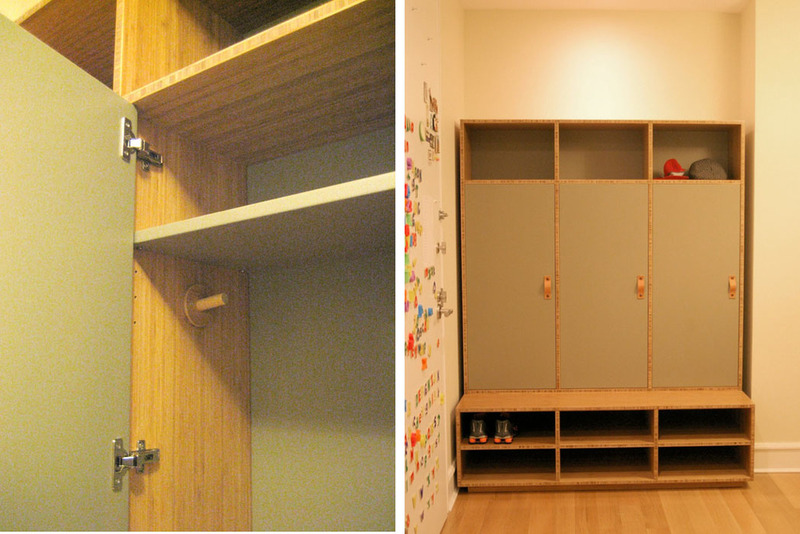 With three kids, this entryway locker system helps this city-dwelling family keep clutter out of their apartment. Leather pulls give a pop of contrast. This wide cabinet is constructed of mahogany with a satin finish. Thick shelves allowed us to leave the unit backless, lightening the space. Here, it's used for displaying books and other treasures, as well as storing glassware and china. 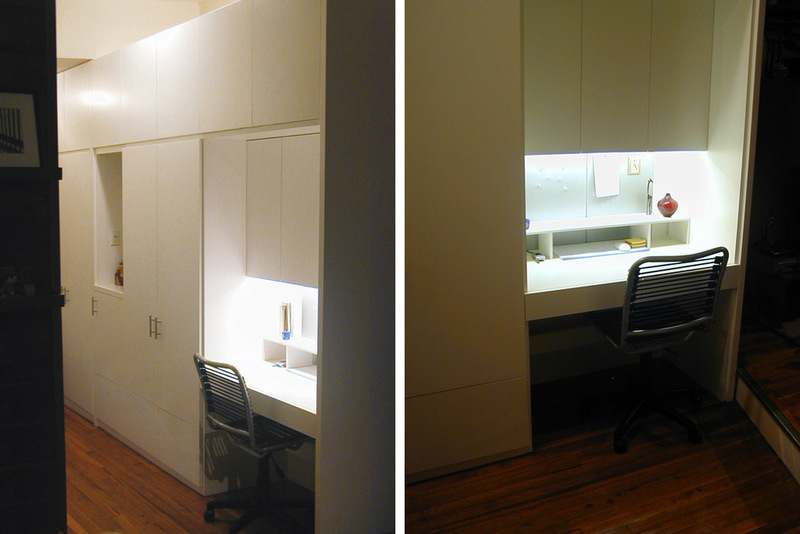 We built these shelves and drawers to utilize an unused corner near the entryway of an apartment. These shelves are used to display artifacts from the client's travels and to store various odds and ends. Natural baltic birch was used as a neutral element against the colored wall. 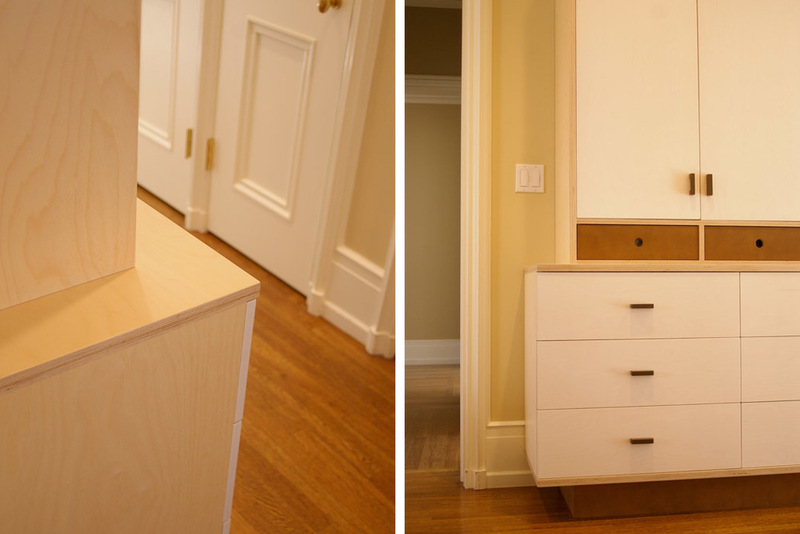 These entry hallway storage cabinets were built to minimize and manage clutter for this Brooklyn family. It houses shoes, shopping bags, coats and other knick knacks for easy access during the morning rush to work and school.